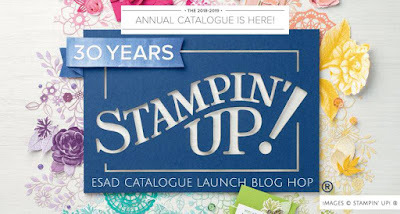 Today we are blog-hopping to farewell some of our favourite products from the 2017-2018 Annual Catalogue and Occasions Catalogues that have been listed on the Retirement List. 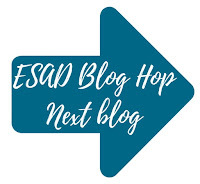 You have probably just joined me from Leonie Schroder's blog. It's been the school holidays for the last 2 weeks here in New Zealand, so I've have time to create a few cards this week, using products and colours that I'll be sad to say goodbye to! Be sure to grab them while you still can. 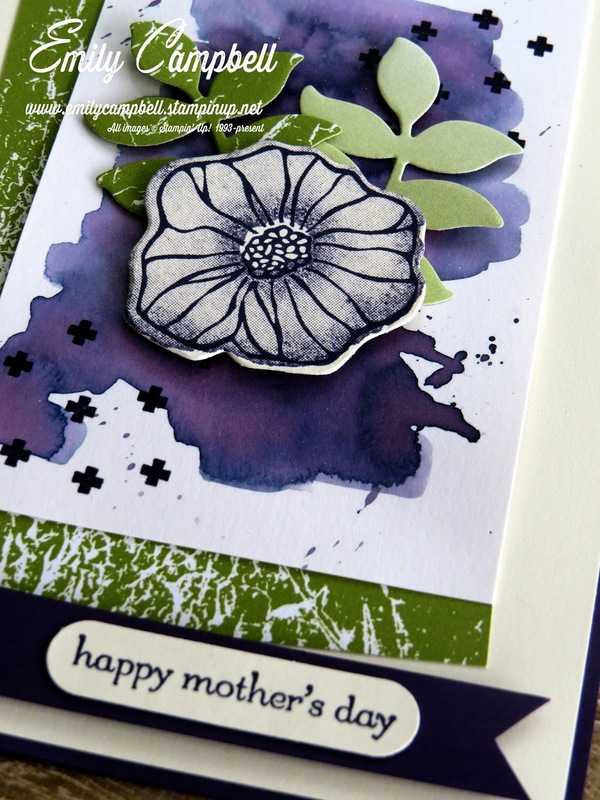 First up is this card in the gorgeous colour combination of Elegant Eggplant and Old Olive. Elegant Eggplant is leaving us (Old Olive is staying), and we also say goodbye to the Teeny Tiny Sentiments stampset, which I'm sad about because it was the first Stampin' Up stampset I ever purchased. However, the replacement set that will be in the new catalogue looks lovely, so I'm sure my sadness won't last long! I've made a bold watercolour wash with Elegant Eggplant ink on Shimmer Paper with an aqua painter, and also used Elegant Eggplant for all my stamping. The flower, crosses and leaves are all from the Naturally Eclectic suite, which is (happily) staying in the gang for another year. The Colour Theory DSP is also going. 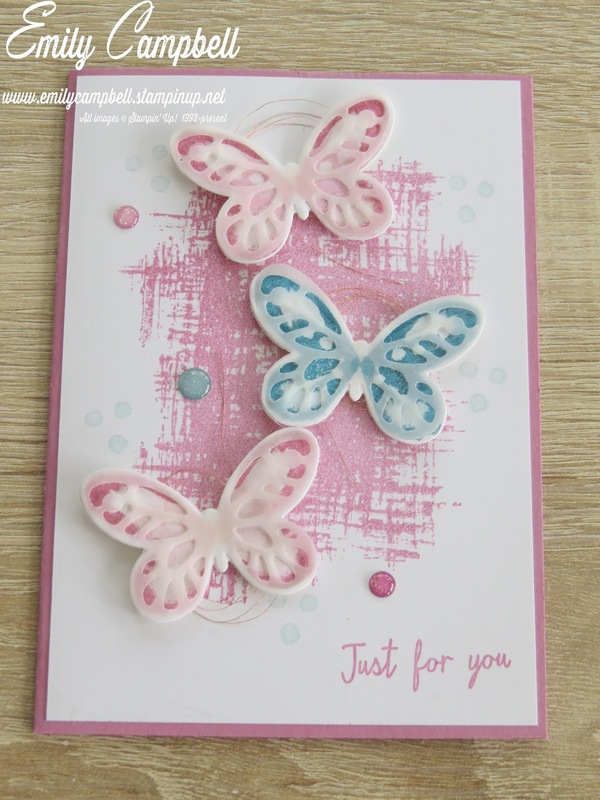 For my next card I've used a colour-combination of 4 outgoing colours, Sweet Sugarplum, Pink Pirouette, Island Indigo and Soft Sky. These 4 colours are so lovely together, and just happen to co-ordinate with the Colour Theory enamel dots, which is retiring along with the You've Got This stampset, which I used to create the background in stamped-off Sweet Sugarplum. 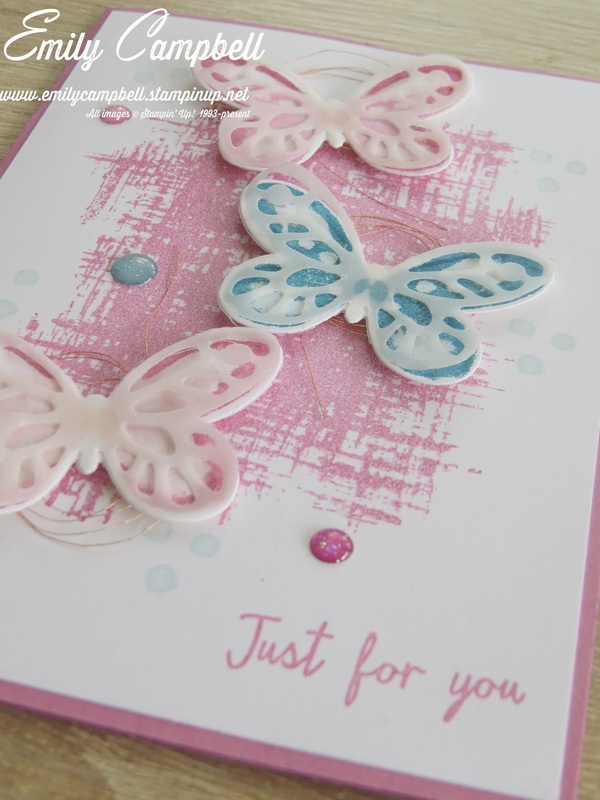 For the butterflies, I've used the Watercolour Wings stampset and the two co-ordinating butterfly die sets, all of which are also leaving us. Only the metallic thread and vellum are staying on this card. The Birthday Delivery suite is the first set that I saw from the Annual Catalogue that I SIMPLY HAD TO HAVE, and to my great shame, I've barely used it. I cut out dozens of the various animals and the girl from the DSP, and have never put them to paper! 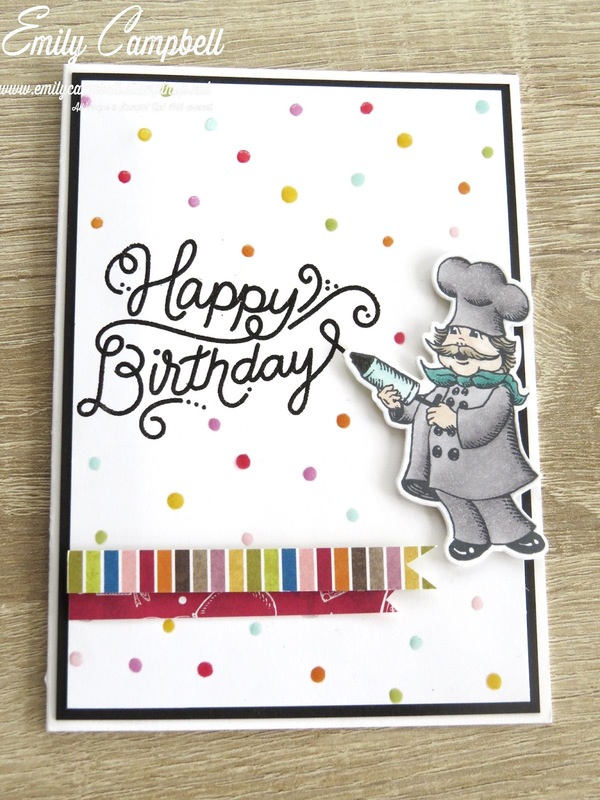 Even on this card; I stamped the baker and used the Blends to colour him in, and I also used the Blends to create the dots in the background to match the colourful strip of the Birthday Delivery DSP, placing a dab of Fine Tip Glue on top of each dot (this idea came from Lavinia Gruizinga on the Demonstrator Planning Page, thank you for giving me permission to copy it.) Note that the Blends and Fine Tip glue are not retiring products. 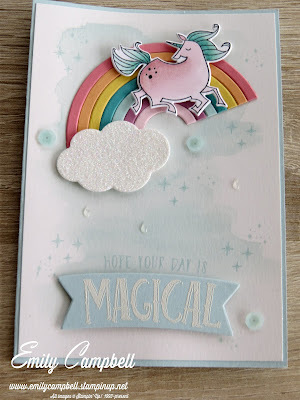 This little unicorn from the Myths & Magic suite was my shining star of the Occasions Catalogue this year, and I'm really surprised that this set didn't carry over because its fantastic for kids and young-at-heart adults! Look how magestic she is!!! I love how this set co-orinates so well with the Rainbow framelits for this whimsical scene, which are also retiring. 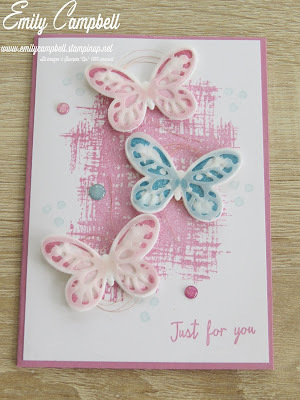 As Soft Sky is a retiring colour, I have used it as my base colour for this card, along with Soft Sky ink to make a watercolour wash on Shimmer Paper. Then with Soft Sky ink I've stamped some twinkles and the Hope your Day is Magical greeting. The cloud is made from the glimmer paper (which is being reformulated) and the epoxy raindrops and Pool Party sequins are both leaving us. I've coloured with the Blends again; the unicorns body is coloured with Pink Pirouette (retiring) and the hair is Bermuda Bay (staying). From the colours in the rainbow, we farewell Flirty Flamingo, Peekaboo Peach and Soft Sugarplum from our In-colours (although Flirty Flamingo is returning in the Brights Family) and Pink Pirouette is also leaving, but Daffodil Delight, Bermuda Bay and Pool Party are staying on. Thanks for joining me on the Blog Hop today. Your next stop is Monique Fielder. Lovely cards. 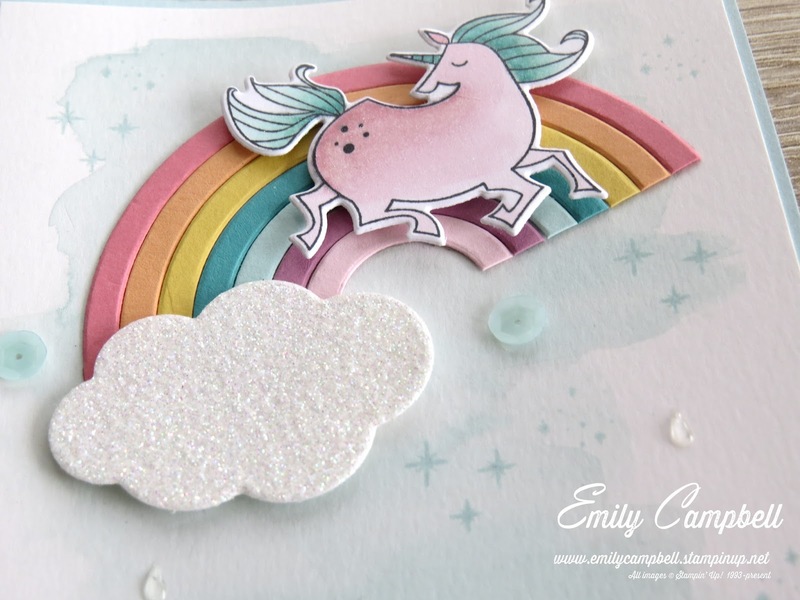 Rainbow and a unicorn, super cute. Wow you have been so busy look at all those cards. Four gorgeous cards Emily. 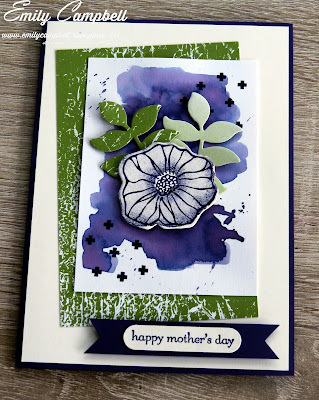 I love the bold Elegant Eggplant watercolour wash on your first card. Stunning collection of cards, Emily. I love your water colour washed backgrounds. Your use of colour is wonderful, especially love the Elegant Eggplant combination on your first card - amazing! I love all your projects Emily .. especially the first one with the olive and eggplant! Welcome, if you have arrived here from Kristel Rimmer's blog. 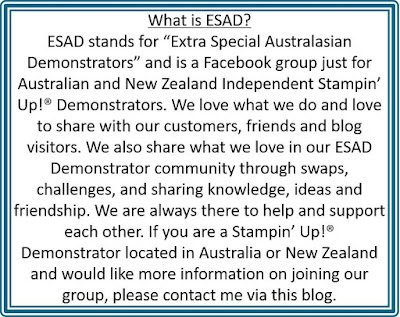 I was very VERY excited to be asked to be a Display Stamper again for OnStage Auckland (I was also fortunate to do it 2 years ago). Opening the Big Brown Box filled with goodies is an exciting moment, seeing new products, speculating on new colours, and trying to work out which products go together. It was also a little different this time round, with no Carryover list provided, which made it a bit of a gamble when choosing supplementary products to use, and also no guidance on whether there would be a colour refresh. So there some challenging aspects, but overall this was a wonderful experience that I was honored to be able to participate in. 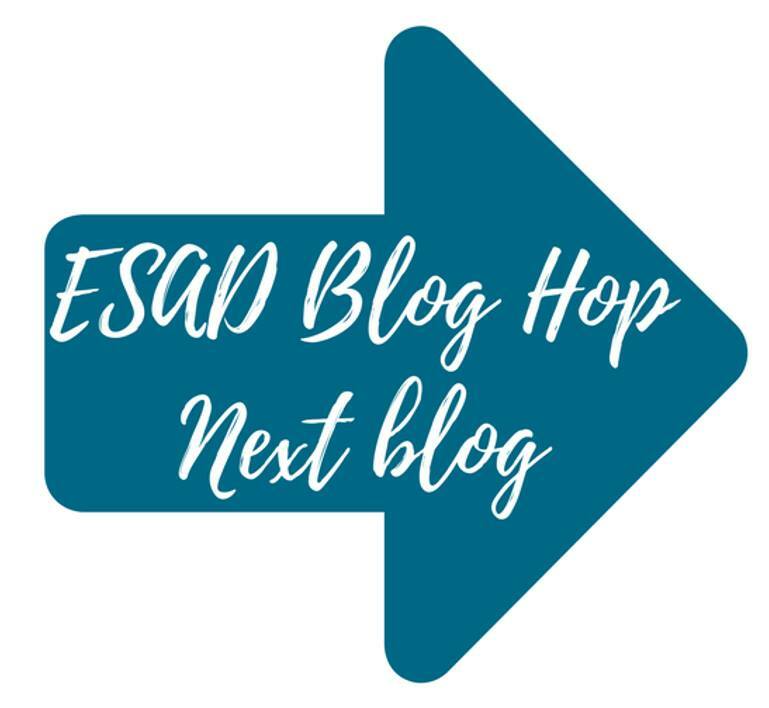 Today I'm excited to be taking part in another ESAD Bloghop, this time celebrating the start of the 2018 Annual Catalogue, which has just launched a couple of days ago. 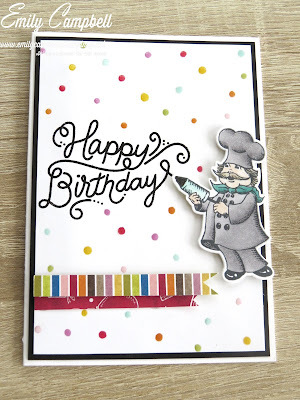 I'm featuring a card I've made for a dear friends milestone birthday. It's been a while since I've made a card-in-a-box, and I wanted to create a B-I-G impact, so I've supersized my cardbase to 6 1/2 x 8 1/2" to make the 3D floral scene pop. 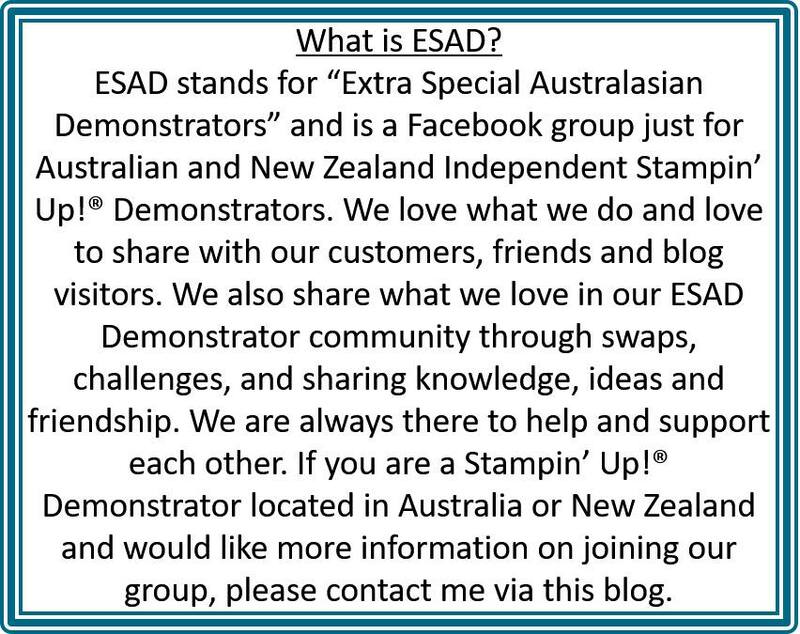 I'm excited to be part of another ESAD Blog Hop, this time showing off the products in our amazing new Holiday Catalogue. You have probably come here from Rochelle's blog, are you loving everything you've seen so far? Today I am showing the gorgeous product pairing of Cookie Cutter Christmas (which is a stampset and punch that come in a bundle to save 10%) and Candy Cane Lane DSP. Pretty cute right! I've used these cute guys make a Christmas Banner to hang in my home for Christmas this year - its in my craftroom for now (cos yanno, September!) but come December 1st this will have pride of place in our family room.